The Rotary Club of Georgetown will host their second annual Field of Honor® display during the days surrounding Veterans Day of 2018, November 3-12. 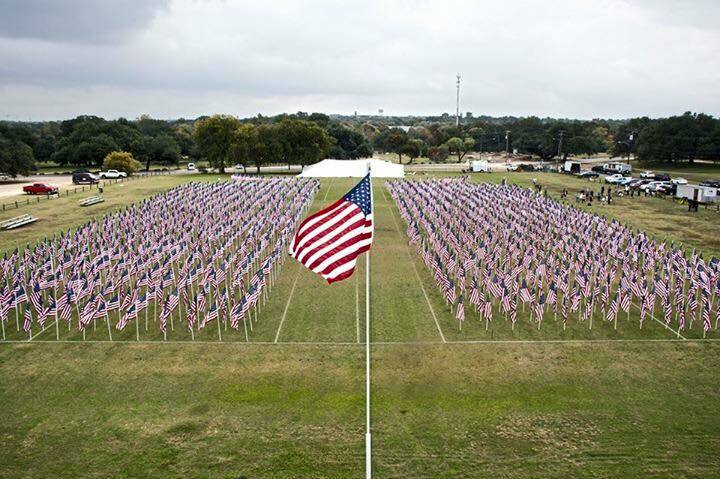 The Field of Honor® is a dramatic, emotion-filled display of full-size, 3′ x 5′ US flags, each PURCHASED in honor of a veteran, active or reserve duty military individual, a first responder, or personal hero of your choice. This tribute exemplifies the Rotary motto of “Service Above Self,” and inspires patriotism and love of our country’s flag. The events held throughout the week are open to the public Check the SCHEDULE page frequently to see the events, times, and specific information as they are planned.